Remember I told you guys that I have been a bit obsessed with vampy colors lately? I searched the whole Internet to find the perfect color. Eventually, I managed to find one & I received another vampy color lipstick as my birthday present! 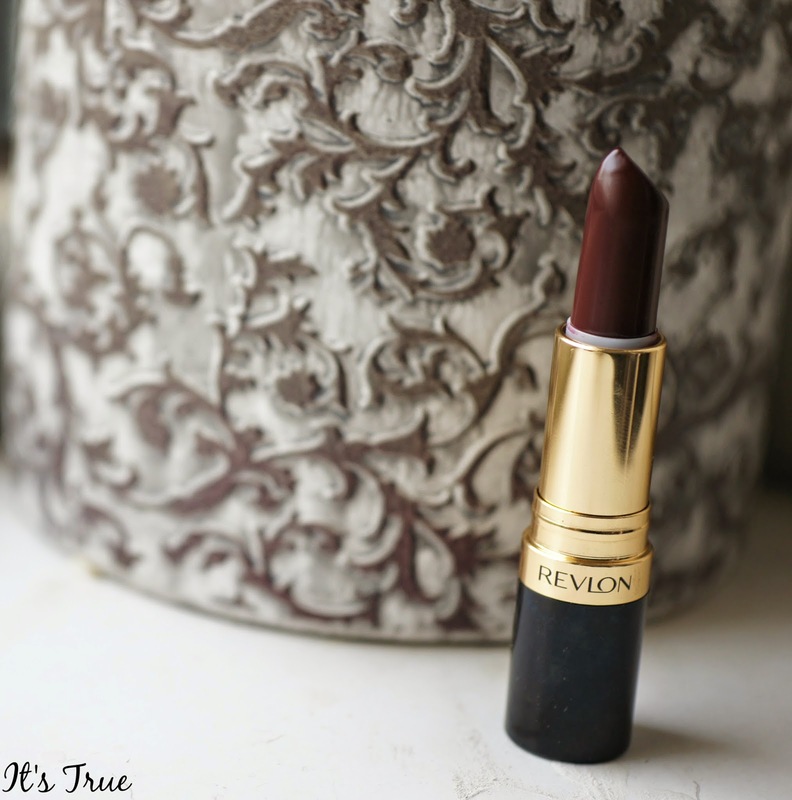 In this post, I will talk about the one I bought which is the Revlon Super Lustrous Lipstick: Black Cherry. I have seen so many reviews on the Internet regarding the lipsticks of Revlon but haven’t tried it before until recently! I read a lot of reviews about one color in particular called Black Cherry so I told my sister who was going to The States to bring me that color. I got lucky cause apparently this lipstick was sold out and many drug stores but she managed to get me one. Yay! 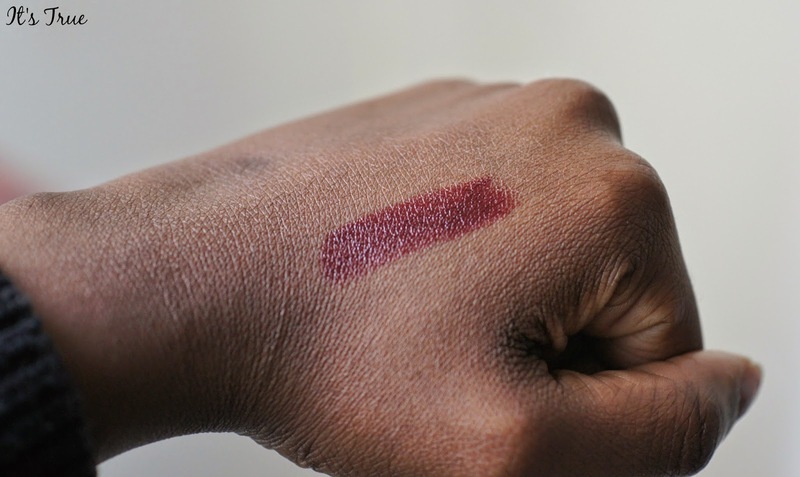 The lipstick looks extremely dark in the first two pictures but it’s actually reasonable as you can see on the product swatch below. 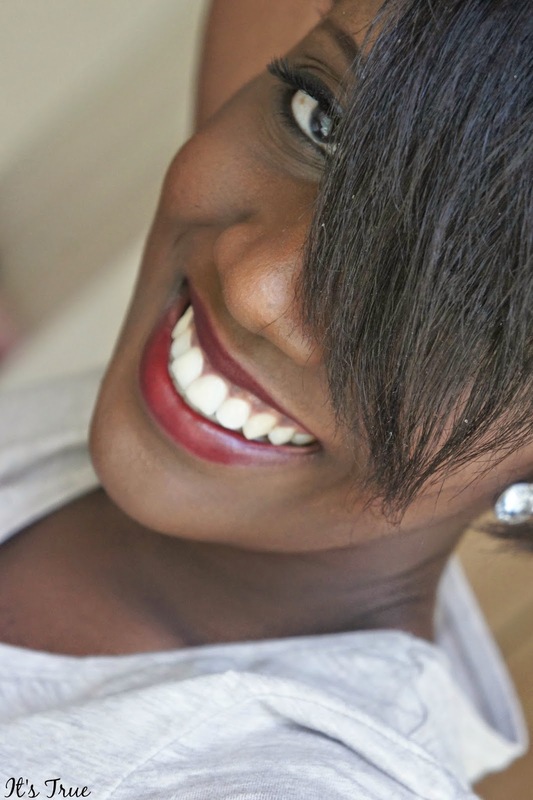 I personally think that this color can be worn be anyone with a very light to a very dark skin tone. I’ve seen reviews with different types of women wearing it and it looks fantastic. 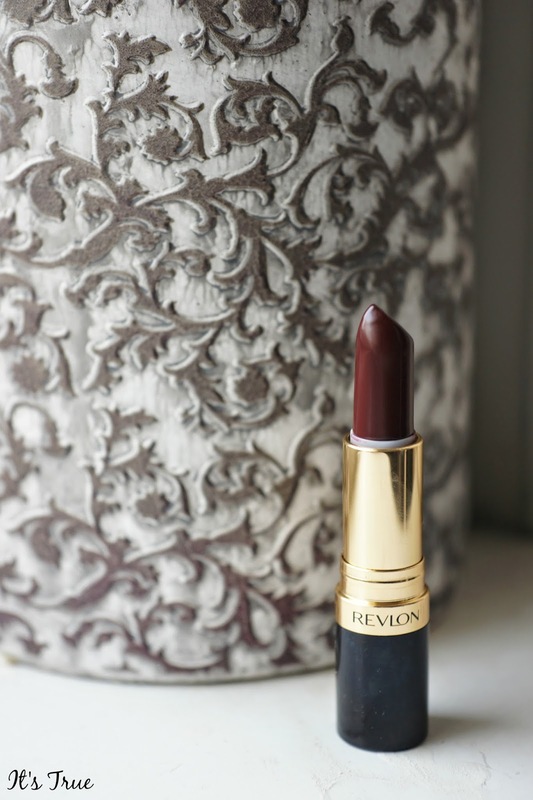 I recommend this lipstick if you are lusting for a dark shade for the first time or another to add it to your stash! You’ll love it! What do you think of dark shades? Is it something you often wear? Previous Post Crocs Stretch Sole Collection. Next Post Heart Of Glass. That colour looks stunning on you! Thats gorgeous! I might have to go look for it! Wat staat jou ook niet? Pretty lady! That shade is so gorgeous ! I love dark shades too, especially in the winter. This one looks fantastic on you! Ik houd echt van dit soort donkere tinten. Die kleur staat jou echt super leuk! 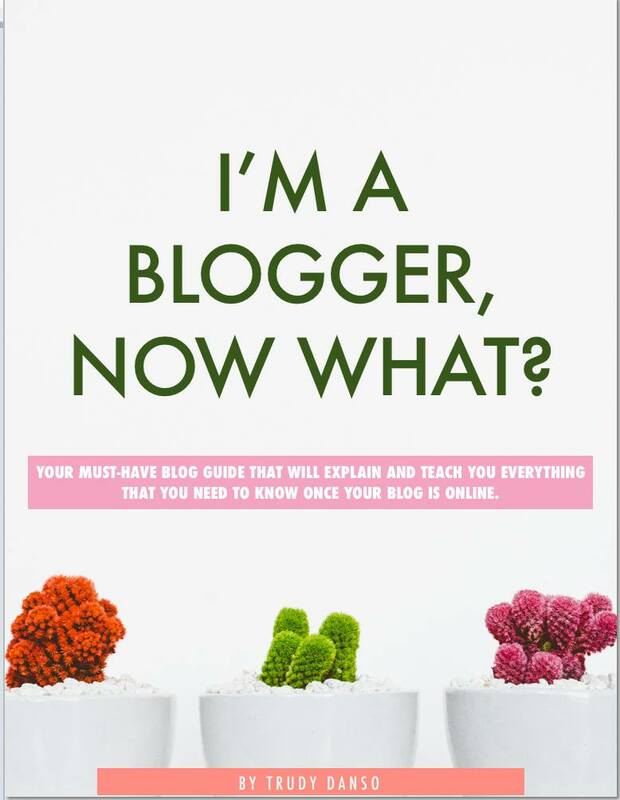 & btw, your new blog-design is great! amai dat ziet er pas perff uit! 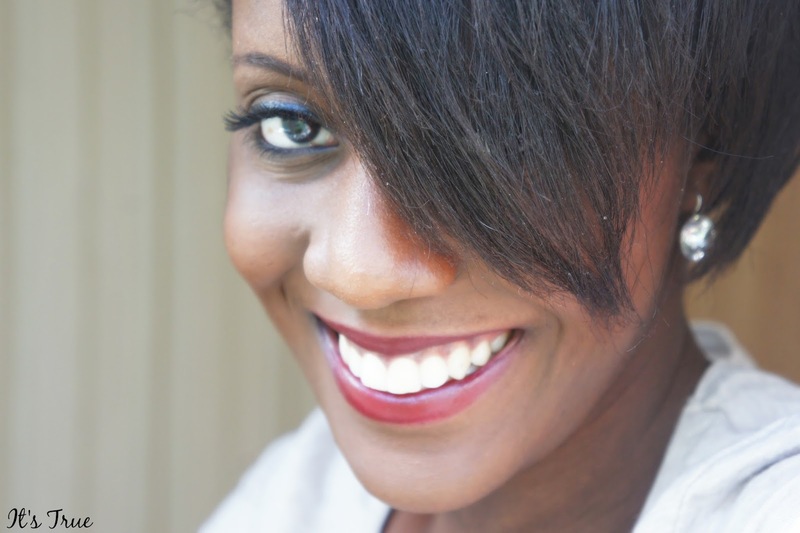 gorgeous color on your lips!